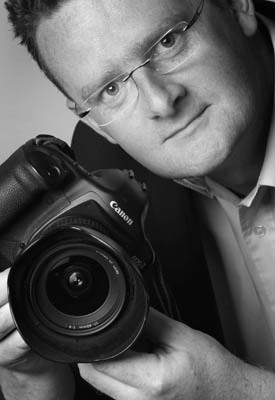 Nick Bradshaw, a freelance photographer has been in the business of creating visually stimulating images for over 25 years - Working mostly for Dublin based PR and Photographic Agencies, fotonic has been formed so that nick can carry out more commissioned newspaper assignments and PR Events. Primarily a ‘People Photographer’, Nick produces consistently strong results under the tightest of deadlines – With a studio on Herbert Street, in the heart of Dublin for Executive Portraiture and any other Studio based requests. Fotonic has a varied and diverse base of clients ranging from Government Departments, Semi State Bodies, selected public relations companies, newspapers and corporate bodies. Nick prides himself on a no drama, calm attitude and always gets the most out of his subjects, press conferences and product launches are probably the backbone of any media based photographic business and fotonic is no exception. The key to a successful photographer is to primarily ‘translate’ a clients requirements and produce Imagery that reflects that particular clients needs while also appealing to our newspapers picture editors – photographic technique, camera limitations and conditions must be second nature, with most effort being put into communicating with the subjects and getting the very best out of them.